PT Amerta Indah Otsuka - PT AIO is a reputable company in Indonesia that is involved in food and beverage industry. PT AIO operates primarily as a producers of 3 flagship brands; Pocari Sweat (ion supply drink), SOY JOY (bar-shaped foods, a low Glycemic Index snacks) and IONESSENCE (low calorie electrolyte drinks). 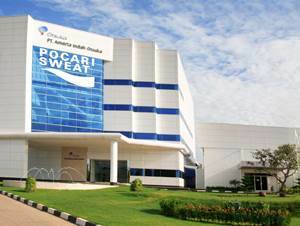 PT Amerta Indah Otsuka is recognized as a prominent player in isotonic drink and bar-shaped foods products though its flagship brands Pocari Sweat and SOY JOY. PT Amerta Indah Otsuka is a member of Japanese pharmaceutical giant Otsuka Pharmaceutical Co Ltd. According to information found in the Company's website as cited by JobsCDC.com, PT AIO was first established in 1997 and as PT Kapal Indah Otsuka, a joint venture company between Otsuka Pharmaceutical and PT Kapal Api. The name of PT Amerta Indah Otsuka officially launched in 1999. Based in Jakarta, PT Amerta Indah Otsuka runs its business through 2 factories in Sukabumi West Java and Kejayan Pasuruan East Java. Minimum Bachelor's Degree (S1), majoring in Chemistry, Chemical Engineering, Industrial Engineering, Agriculture Technology or equivalent. Good communication, team management, and problem solver. Have a good knowledge of measuring instruments (Calipter, Micrometer, Termometer, etc) and packaging material analysis. Willing to work at Cicurug, Sukabumi. Minimum Bachelor's Degree (S1), majoring in Law. Able to manage and direct people. Able to manage an organization or events. Focused on target, proactive, friendly and obey the rules. Ready to be placed at Sukabumi Factory. Minimum Bachelor's Degree or Master Degree (S1/S2) in any major from reputable University with minimum GPA of 2.75. Required experience for minimum 3 years in the same field (Key Account) and the same background in FMCG. Strong communication skill, negotiation skill, presentation skill, and willing to work extra miles. Computer literate (Microsoft Word, Excel, Power Point). Minimum Bachelor's Degree (S1), majoring in Business Studies/Administration/Management, Finance/Accountancy/Banking or equivalent. Required experience for minimum 1 year in the related field, preferably Staff (non-management & non-supervisor) specialized in Finance - Audit/Taxation or equivalent. Fresh Graduate are welcome to apply. Minimum Bachelor's Degree (S1), majoring in Tax and Accounting. Minimum Bachelor's Degree (S1), majoring in Finance/Accountancy/Banking or equivalent. Required experience for minimum 2 years in the related field, preferably Staff (non-management & non-supervisor) specialized in Finance - General/Cost Accounting or equivalent. Computer literate, minimum Microsoft Office, SAP. JobsCDC.com now available on android device. Download now on Google Play here. Please be aware of recruitment fraud. The entire stage of this selection process is free of charge. PT Amerta Indah Otsuka - Fresh Graduate, Experience Staff, Manager AIO December 2017 will never ask for fees or upfront payments for any purposes during the recruitment process such as transportation and accommodation.